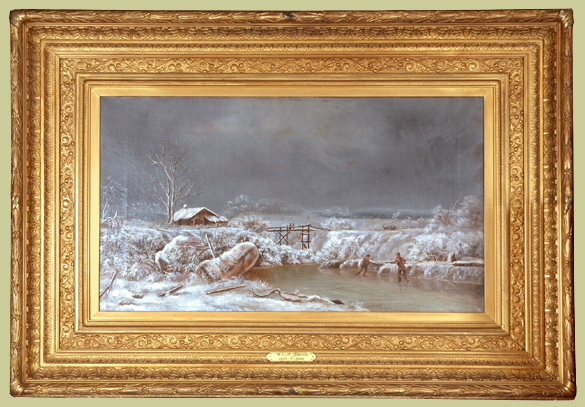 “Winter Scene” oil on canvas, 18” x 32”, signed and dated 1872, No. 5 verso, orignal period frame. This painting is in excellent condition.